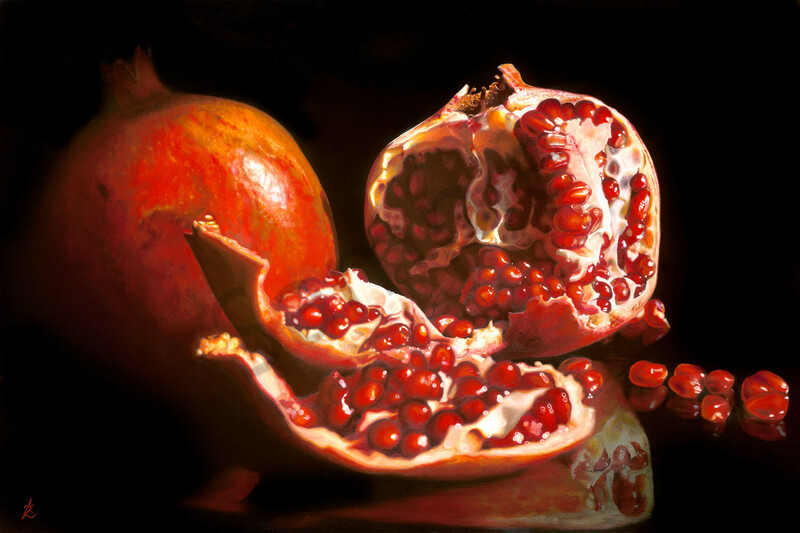 The Pomegranate is a very romantic and exotic fruit, a pleasure to paint. The deep, ruby colour of the juicy transparent seeds nestled in the white textured pith are extremely appealing. The unusual shape and interesting skin is somewhat regal topped with it's little crown.